I really love pivot doors. 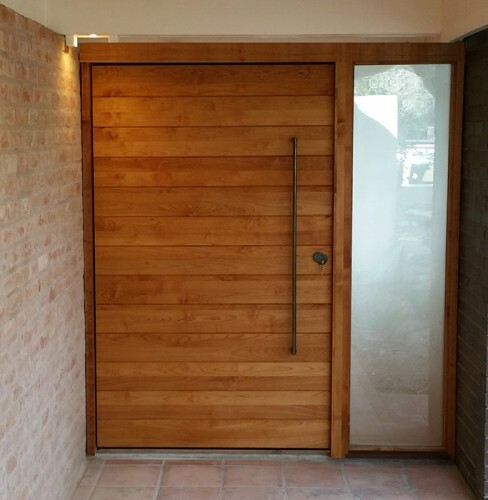 This door type is borrowed from the commercial world, and has become a staple in modern home construction. When done right, they work like a dream. As with anything, the trick is knowing what you are getting into. 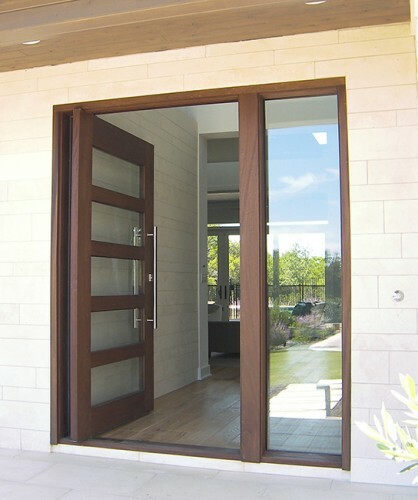 Pivot doors can be intimidating if you do not understand them, and the hardware involved. Once you grasp how they work, the hardware involved, and how to prep the door, they are actually pretty simple. 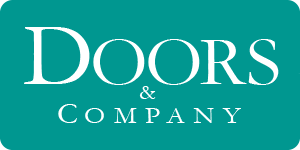 A properly designed pivot door system does not need to be a trade of form over function. The key is using the right pivot for the job, knowing how to properly weather strip the opening, and grasping that square and plumb installation are really important. The different types of pivots we use are the Center Hung Pivot Set (pictured below). Which is a robust pivot, capable of carrying up to 500 lbs. It is easy to install by anchoring the bottom portion directly to the slab. It does swing freely, so caution needs to be used on the size of the door. If you have tiny pets, or toddlers, this might not be the best choice. The other type of pivot we use is (are you ready for this? ), a Heavy Duty Floor Mount, 90 Degree Hold Open, Center Hung Door Closer Pivot. 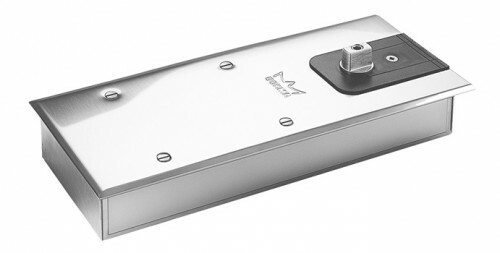 This is also known more simply as a commercial floor mount door closer (pictured below). This type of pivot requires a recess in the concrete slab to be cut out to house the pivot. I like these because they are self closing, (so they do not require a latching mechanism), and the regulate how fast the door can travel. These are much more small animal and child friendly. The type of pivot used is really a matter of what amount of concrete work you are prepared to undertake. I do recommend the self closing type. If for no other reason than it gives you an excuse to go buy a concrete saw and a hammer drill. You really can’t consider your tool collection complete without these. Please remember that when doing basically anything in life, safety glasses are required. In case I haven’t mentioned it, we build pivot doors. We can custom design for you just what you need, build it, stain and seal it, and ship it right to you. We also offer professional installation in the greater Austin area. Feel free to contact us! This contact form will tell us which door(s) you are interested in. We will get you information right away.